It is a largely non-competitive bike ride around New Zealand's largest lake, Lake Taupo, a distance of 160 km. The Wattyl Lake Taupo Cycle Challenge provides a challenging but achievable 160 kilometre ride for individual riders – alternatively, teams of two, three or four can participate in the team event, which is an achievable goal for new or less experienced riders. The Wattyl Lake Taupo Cycle Challenge is New Zealand’s premier cycling event and is also part of the UCI Golden Bike Series. •	Contact Huka XL Race – 80km MTB race for licensed riders . •	WorkOut Zone Women’s Road Race – 60 km classic race component for elite female riders. Are the MTB tracks rideable on a CX bike? Hell yea! I did the elite mtb race last year on my cx bike, its not real technical but you have to spend a lot of time on the drops, after 3hrs my back was killing me, the last bit is more of a fire road. Think I got top 15 overall on a cx bike, if im in nz I will doing it again for sure. If the course is the same as last year like they say it is then yes. I'm pretty sure the crazy CX guy from Welly did it last year, but then again he did Karapoti on his cx bike. 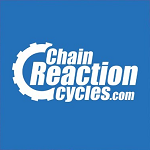 Chickenman wrote: Are the MTB tracks rideable on a CX bike? yes. nothing too challenging in that lot. banga wrote: If the course is the same as last year like they say it is then yes. I'm pretty sure the crazy CX guy from Welly did it last year, but then again he did Karapoti on his cx bike. That would be the crazy cx guy who posted just above you..
certainly is, although it wasn't there when I started my reply. Couldn't be botyhered editing. I'd contemplate the combo just so my legs are warmed up when I hit the hills on the road! wgtngrl wrote: I'd contemplate the combo just so my legs are warmed up when I hit the hills on the road! get a few people on cx bikes and make it like a team time trial, how cool would that look, or even better get heaps of people to request a cx class in the 80km mtb race, now that would be impressive ...I think I may enquire! I'm considering doing the combo. SS mountain bike for the offroad then ss Raleigh 20 for round the lake. I'd already thought the same regarding the combo, I'm sure some of the CX guys up here would be keen. I know of one guy who definitely is, he just needs a CX bike! 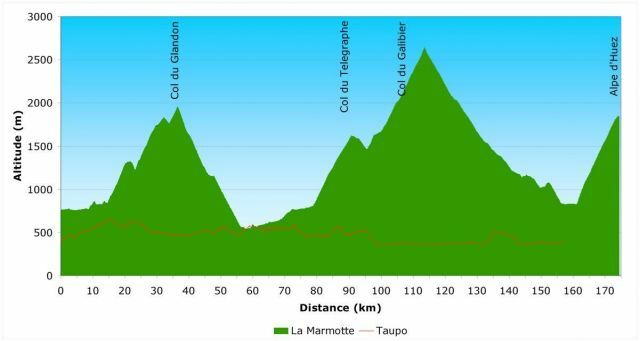 Heres a little picture to put the hill climbs during Taupo in perspective..